Value Added Tax (VAT) is now a reality. All businesses in UAE have to brace up for this: proper tracking, recording, and reporting of your business transactions is a must now and not a choice. 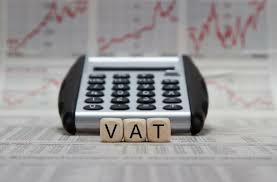 UAE is implementing VAT ahead of other GCC countries and soon it would be applicable across the region. Such a regulatory environment demands your attention as any shortcomings in the mandatory filings or in tax collection and management have the potential to snowball into a major business crisis. On the positive side, every disruption throws up winners and losers: the ones who are prepared always emerge as the winner. Therefore, the million dollar question is - Are you ready for this new regulatory environment? 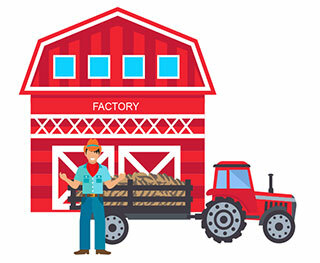 The farmer collects 5% VAT from the factory and deposits it with the government. A retailer who took 100 packets, pay 5% VAT on AED 700. 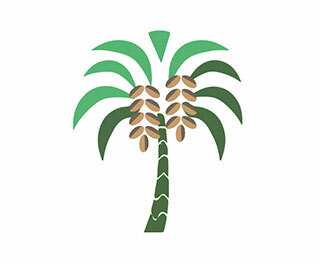 The wholesaler, on behalf of the government, collects AED 35 as VAT from this retailer. The wholesaler receives a refund on the VAT paid to the factory. The retailer collects 5% VAT on behalf of the government. 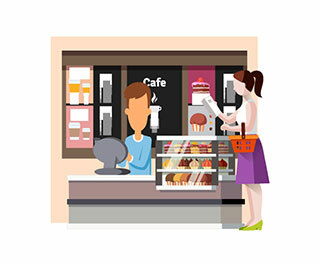 The retail outlet receives refund of VAT paid to the wholesaler. However, the system of VAT relies on correct reporting by all the parties in a business, including your own business, your suppliers, your distributors, service providers, etc. 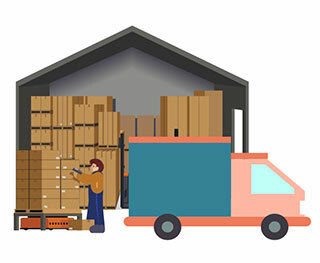 If your business involves dealing with hundreds of suppliers, collecting tax from them and reporting, that itself it will be a time-consuming effort. Thus, a seemingly simple tax system actually requires close monitoring and management by a business operator. In addition to this responsibility, a business house has to bring into account the various exemptions allowed by the government so as to take advantage of them. Thus, the entire process of VAT management doesn’t sound simple anymore. VAT came into force on 1 January, 2018 and its rate has been fixed at 5 percent. If your business has taxable supplies and imports exceeding AED 375,000 per annum, registration is compulsory. Even if your business hasn’t passed that threshold, you can still opt to be part of VAT system if the supplies and imports exceed AED 187,500 per annum. VAT-registered businesses regularly have to pay the taxes they collect and also report about them through an online system. You will pay the government the tax collected from your customers and can receive refund from government on the tax paid to the suppliers. VAT returns must be filed by businesses within 28 days from the end of the tax period. Thus, the entire VAT network can also help the government track the business activities in the Kingdom. Liability of a business with regard to VAT doesn't end with collection, payment, and reporting of taxes. The government expects you to keep all VAT invoices issued and received for another five years at least. In order to run a seamless business operation in the VAT regime, you have to be conversant with various exemptions as well as sectors granted with the benefit of zero liability. For example, you will pay 0% VAT if you are exporting goods and services outside the GCC or if you are in the education industry where supply of certain goods and services also attract only 0% VAT. Additionally, a few categories in financial services, residential properties, etc. have been granted tax exemptions. Therefore, if your suppliers or customers belong to a sector with tax rebates or exemption, then the VAT filings of your business should reflect that and adjust accordingly so that you won't be at a disadvantage in the new tax regime. The upshot is that all businesses have to make a lot of changes, or even have to restructure their core operations in some cases, to fully comply with the VAT regime. Additional resources have to be continuously set apart by businesses towards financial management and bookkeeping so that compliance to VAT can be ensured as well as to take advantage of available tax rebates. This can put businesses in a difficult situation as expert and smart resources would be costly and hard to find. Don't worry, we have come up with the perfect solution for business needing a seamless solution to VAT management that is also cost effective.